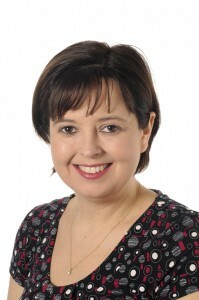 Sharon Norman is course lead and lecturer for the MSc Critical Care within the Department of Anaesthetics, Intensive Care and Critical Care Medicine at Cardiff University. Sharon registered as a nurse in 1995 and began working at the intensive care unit (ICU) in Cardiff Royal Infirmary. In 1999 Cardiff Royal Infirmary’s ICU merged with University Hospital of Wales. She became a Clinical Development Nurse in 2001, which saw her move into a more focused teaching role, identifying and delivering individual educational needs of nurses at the bedside. Almost a decade ago, the world was on the cusp of adapting existing projects to the technological innovation which the internet was trailblazing. As innovator’s, the department academics developed unique e-learning, interprofessional and international Masters programmes and stand alone modules. Whilst a clinical practitioner, Sharon was also studying for an MBA in order to improve her business sense. Her MBA and the team’s innovation of the e-learning courses have now converged to a notable degree and resulted in her development of a marketing plan for the department’s four Masters programmes and expanding number of stand alone modules. One of the most significant outcomes of the marketing plan is the rebranding of the four Masters programmes which have been united under the Cardiff University brand alongside the standalone modules. This is currently being considered for adoption by the whole department and the Post Graduate Office of the School of Medicine. “If you think of McDonalds, you’ve got a big yellow M. Cardiff University is the big red square. How do we let people know who we are when we’re not even using the branding?” she asks. Additionally, the Department has long been aware of the importance of recognition. For example, UHW is the biggest hospital in Wales. Recently, this desire for collaboration has developed into the recognition of marketing the department’s short one and two day courses along side the University accredited stand alone modules to provide a linear approach to training and education for healthcare staff such as the research, statistics and evidence based practice stand alone module and the SPSS short course. The stand alone modules and Masters courses are available as e-learning courses which means that students can log on and study in their own time and there is no need to take leave to come to Cardiff and study. Additionally, students can work through the modules at their own pace throughout a 10 to 12 week period. The possibilities of this are exciting for obvious reasons: offering high quality, accredited training to medical professionals from a variety of backgrounds who want to continue their professional development can only benefit society on a wider scale. Working alongside knowledgeable clinicians, the department’s course team aim to be at the helm of such innovation; we can feel safe knowing that innovation in post graduate medical education is in experienced and enthusiastic hands.